Welcome to Energy System Control – a method of simply and effectively finding multiple gears to perform your best no matter the conditions. Exactly what the “Gear System” of breath is and how to use it so you can dial your fuel use up and down just like using the gears in your car. What specific breath patterns do to your body chemistry, what that means for your performance, and how to use them. How to use your breath to get the most from your training time because no one likes wasting time. How using the “Gear System” will give you an advantage over your competitors. 4 training phases with 3 days per phase delivered via a downloadable PDF. Detailed coaching program on how to use your breath to optimize your work capacity. Exercise and protocol demo video’s. A program that is designed to be completely integrated into your existing strength and conditioning work. Get your Energy System Control program with step by step instructions and videos for every session, today. Simply click on the Add To Cart button below, complete the checkout details and you will receive immediate access to the downloadable program. The Energy System Control webinar delves deep into the principles and methods behind The Program. 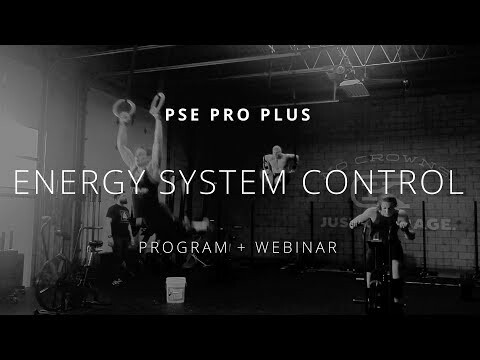 Presented by Energy System Control creator and Art of Breath co-founder, Rob Wilson, this bonus webinar perfectly complements The Program by giving you deep explanations and demonstrations of the system so that you develop a sound understanding of how the gears work, why they’re important and how to best use them. *Purchase both the Energy System Control Program and the Webinar together and get them at a discounted rate. Learn More. Imagine if your car was stuck in one gear. Imagine trying to drive up a hill with your car in that one gear. Now imagine coming down the other side stuck in that same gear. Sluggish one minute, redlining the next. Now imagine if your body stuck in one gear. If you’re like many people you probably have a pretty good idea how that feels. Most people operate with either their foot to the floor redlining or sitting back cruising along, saving fuel. Whether we’re talking about a car or you, being stuck in one gear results in poor performance. Performance that comes in well below where you know it should be. The thing is, like a car, everyone has multiple gears. They just don’t know how to drive stick. Imagine having access to all of your gears. Cruising along, saving fuel, but then being able to put your foot down and give it everything when you need to. Energy System Control is a 4-phase training program that coaches you through simple to implement supplementary workouts and methods that make the most out of your existing work capacity while also giving you the tools to develop your work capacity beyond what you ever thought possible. The best thing is you don’t have to stop your existing training program. Simply plug this in alongside. The Energy System Control workouts and methods will fit perfectly with whatever you’re already doing. You will learn a whole new way to use your body and its systems exactly how nature intended. Get your Energy System Control program with step by step instructions and videos for every session, today. Simply click on the Add to Cart button above, complete the checkout details and you will receive immediate access to the downloadable program.